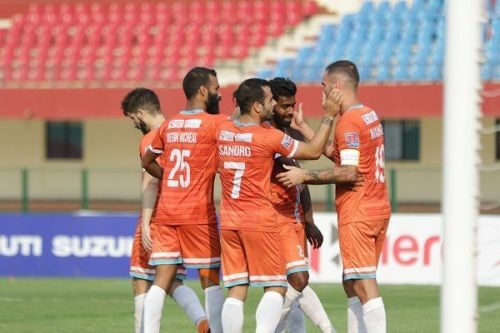 Chennai City FC regained the top spot on the 12th Hero I-League point’s table defeating Indian Arrows by two goals at the Kalinga Stadium, Bhubaneswar on Friday. Chennai drew first blood in the 71st minute through Spanish midfielder Sandro’s free-kick and concluded their game with another goal from substitute Vijay N during the on time (90'+1). A beautiful header from Chennai City’s Manzi, that was called off-side was saved by the Arrows keeper Samik Mitra. A second opportunity came the visitors' way when a confusion within the Arrows area led to Jitendra almost heading in an own goal, but thanks to an alert Gill, the young Arrows were saved from an embarrassing moment.